First of all, let me introduce myself. My name is Intan Pramesti Rochana. I am from Indonesia. 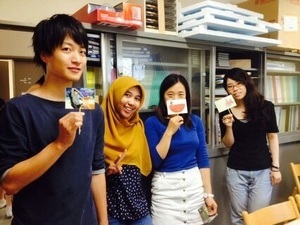 I got accepted in Kagoshima University to be Exchange Student for 1 year. My home university, Diponegoro University and Kagoshima University had an agreement to be sister university and since 2015 actively sending students to Kagoshima University. This is my first experience going to Japan. I felt so excited yet, worried because I couldn't speak Japanese Language before. Also this is my first time going far away from my family for a long time. I arrived to Kagoshima in 1st April 2015. The weather was very cold at that time because Kagoshima was entering the spring season. There were so many sakura in the road side everywhere. It was my first time saw sakura and that was very beautiful. Besides the beautiful of sakura, my first opinion about Kagoshima was about the city that very neat and clean. The air was very clean because not so many pollution there and the city was quiet and peaceful. 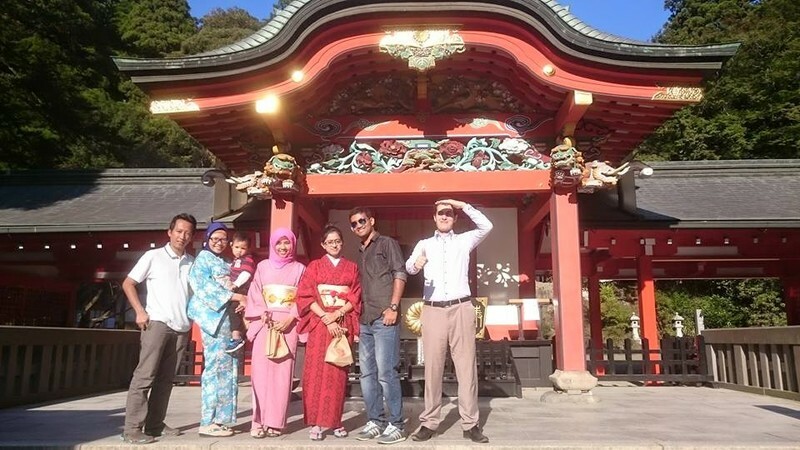 People in Kagoshima was very kind and friendly. At first, it was very difficult for me to communicated with people because there just little bit people that can speak English well. But it motivated me to learn Japanese language more. 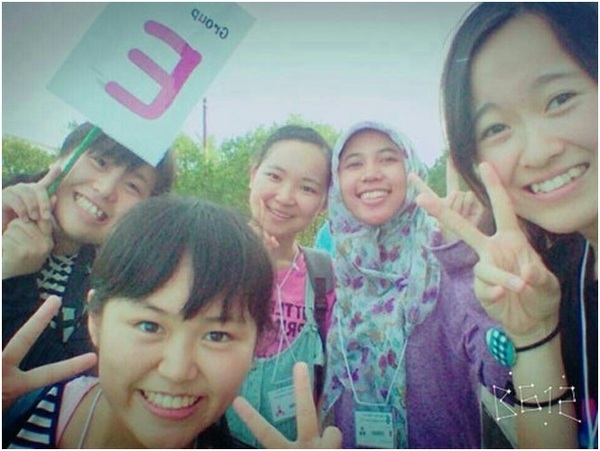 There were so many peoples in Kagoshima that help me to speak Japanese. 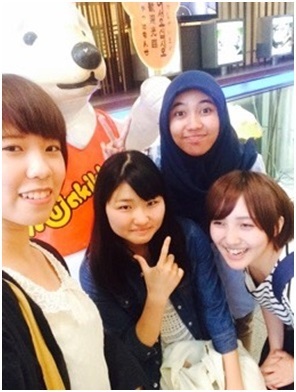 They speak with me using easy Japanese language and slowly which is helped a lot for me to understood what they told. If I met people in the street, they start smile at me and sometimes greeting me. There were so many older people that walked alone without assisted in Kagoshima. That was one of culture shock for me, because in Indonesia older people usually getting help from their family or others. People in Kagoshima live independently without bother other people and supported by convinient facilities in Kagoshima. One of my favourite thing living for one year in Kagoshima was I can experienced four seasons there. Started from spring in April, beautiful Sakura blossom everywhere. Mostly people in Kagoshima doing picnic under sakura blossom tree along the river which is called Hanami. Before entering summer season, in June that was heavy rain everyday for one month. After that the summer season came and time to summer holliday. I love this season very much because many summer festival held with wonderful firework and peoples seem enjoyed that moment and using Yukata, Japanese traditional clothes. In October, the weather change drastically. From hot to cold, indicated that Kagoshima entering autumn season. I like the colour from maple leaves that turn into red in this season. 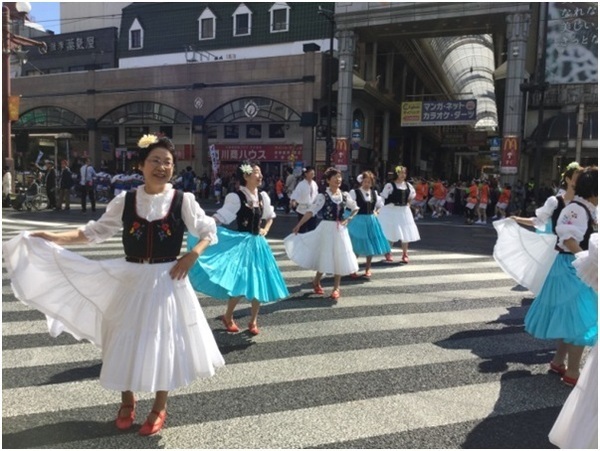 In autumn we also can enjoy festival called Ohara Matsuri where many peoples dance together with interesting costume along the street. After that the weather rapidly become much colder in December mean that the winter was coming. In winter, we can enjoy illumination in downtown of Kagoshima. The illumination was very beautiful and amazing. The interesting part from having 4 seasons is the fashion. We can't using summer clothes when winter because it would be too cold and winter clothes when summer because it would be too hot. So we change our clothes every season. As a moeslim, pork and alchohol are prohibited for me. It was very hard for me at first, because I couldn't read Kanji and I didn't know if foods that I ate derivied from pig or not. So I cooked my meal by myself using Halal product. Luckyly, in Kagoshima many halal product provided for us eventhough not so many moeslim there. The society from Kagoshima also support us. When I am going to restaurant for example, if I couldn't read kanji, the waitres kindly told me the menu that didn't contain of pork. They also held a camp for moeslim that told us where I could buy halal food in Kagoshima and told the location of the private onsen. Onsen is hot public bath that good for our skin. People in onsen take a bath together without using any clothes which is prohibited for moeslim showing their body to other people. But only in Kagoshima that provided private onsen for moeslim like us. Food that originally from Kagoshima is satsuma imo or sweet potato. The taste was very delicious and sweet. In my opinion, all vegetables and fruits that came from Kagoshima has a sweet taste and I like it. I also like the taste from Karukan. Karukan is cake that made from rice flour powder and fill with red bean paste which is very sweet. I even bought Karukan to give it to my family as a souvenir from Kagoshima and they like it. Other food that originally from Kagoshima are Satsuma age. Satsuma age is fried fishcake and the taste is similiar with meatball. Commonly, we ate satsuma age with udon, japanese noodle. In the summer, we can enjoy somen nagashi and shirokuma ice. Somen nagashi or flowing noodles are noodles that served in a long flume of bamboo across the length of the restaurant. The flume carries clear, ice-cold water. As the somen pass by, we can pluck them out with chopsticks and dip them in tsuyu or soy sauce. The taste was amazingly delicious. 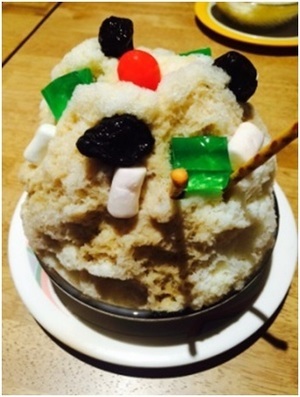 Shirokuma ice is Japanese dessert made from shaved ice flavored with condensed milk, small colorful mochi, fruits and sweet bean paste. 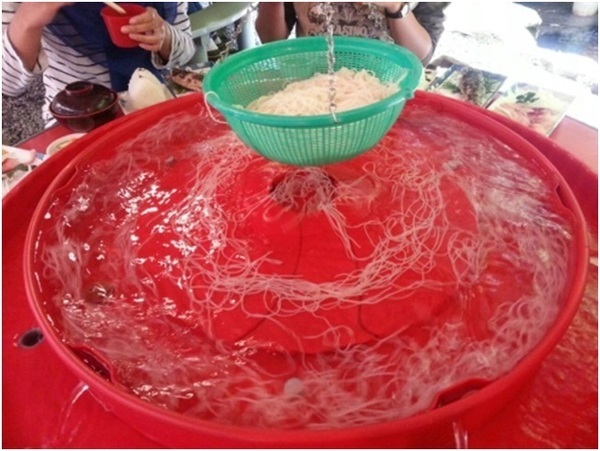 The taste was very fresh, sweet and delicious and suitable eaten in the middle of hot weather in Summer. I like most of Kagoshima foods.